If you trying to launch into health like I’ve been talking about for several days, think about the rigors of becoming an astronaut. So if I may digress just a bit. Jerry Ross, an astronaut who has been launched into space more than almost anyone and who has more space walks than any other human will be speaking in LaPorte at Bethany this Wednesday about using God given abilities and our dreams to reach for the heavens. I cannot wait to hear him speak. It’s exciting and I feel like a kid. Jerry Ross was born January 20, 1948 in Crown Point, Indiana and became a United States Air Force officer, retired, and a NASA astronaut. 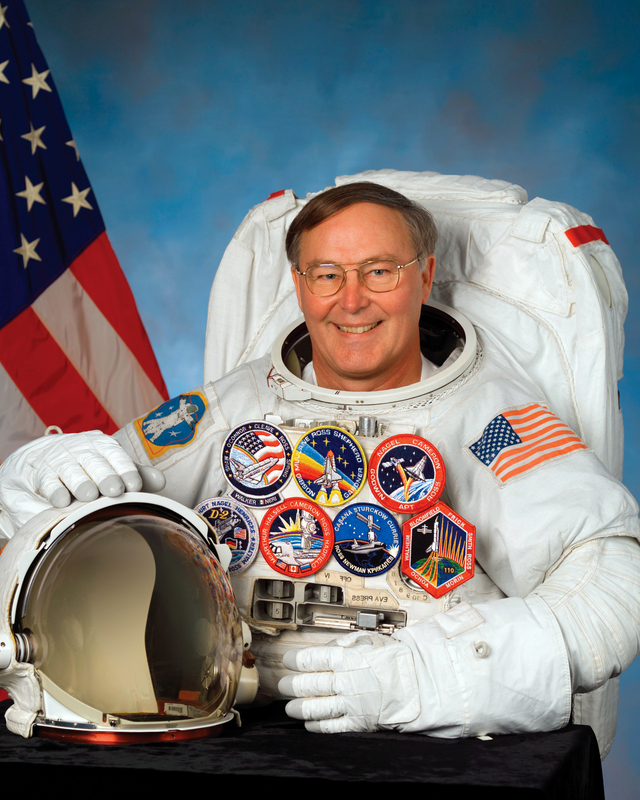 He is a veteran of seven Space Shuttle missions, making him a record holder for most spaceflights (a record he shares with Franklin Chang-Diaz). His papers, photographs and many personal items are in the Barron Hilton Flight and Space Exploration Archives at Purdue University. On February 7, 2014, it was announced that Ross will be inducted into the Astronaut Hall of Fame during ceremonies in May. Living boldly and dreaming is a good thing. Pursuing your dreams with your God given gifts is something you can do too. Live healthy and keep dreaming. PS Did I say I was excited to hang out with an astronaut? This entry was posted in Coach's Blog, denny meyer, Higher Power, life coach, Sonrise Coach, Spiritual Coach - Denny Meyer, spiritual coaching, spiritual director and tagged coach denny meyer, denny meyer, jerry ross, life coach denny meyer, space shuttle, space walks, spiritual coach, spiritual coach denny meyer, spiritual coaching. Bookmark the permalink.